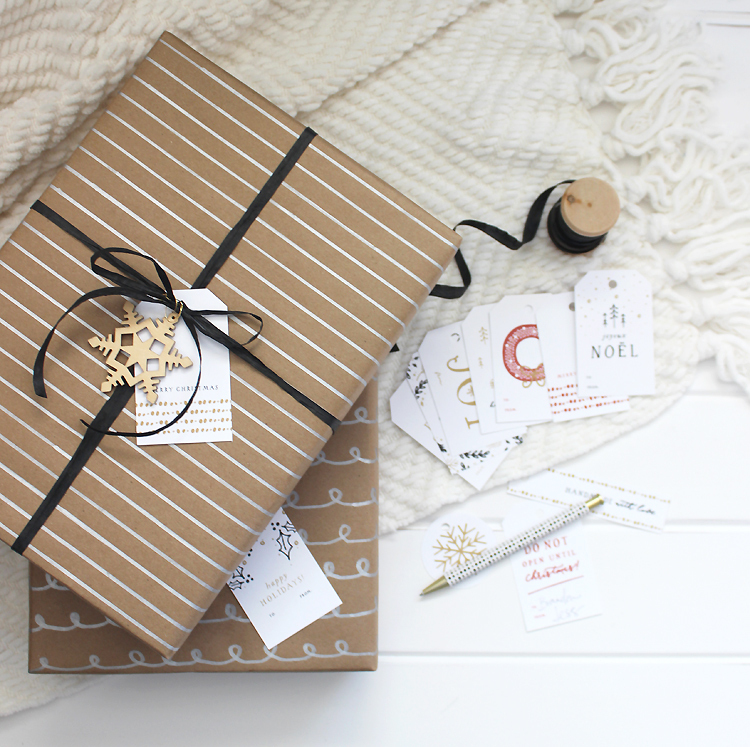 If you're feelin' extra crafty, grab some plain white or kraft paper (you can get it at Target, Michael's or Office Max) and a marker (I used a silver sharpie) and doodle away! I kept it simple with swirls and lines, but try drawing Christmas trees or snowflakes... or write Merry Christmas in different styles.... or maybe the lyrics to a Christmas song! 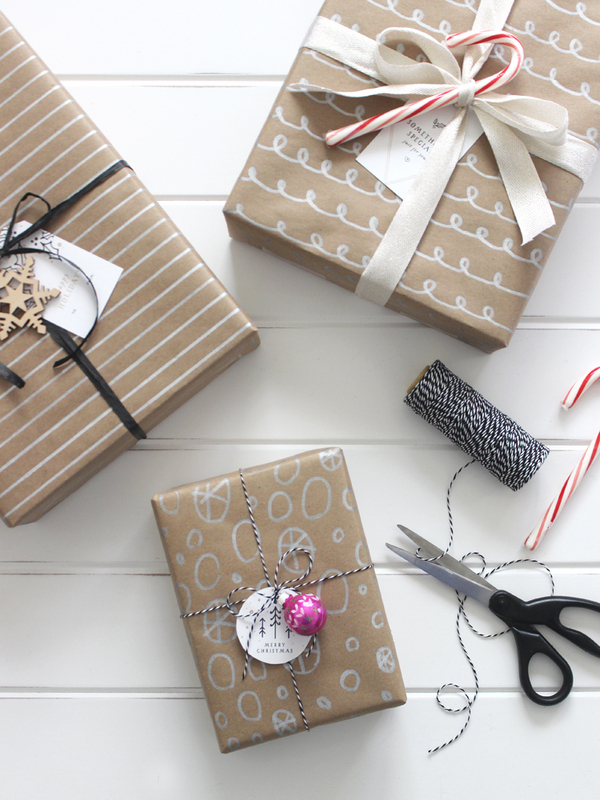 Custom wrapping paper made easy! Trim to size using scissors or an xacto. Tie with some pretty string. I really hope you enjoy using them as much as I loved designing them! When I see all the pins, page views and instagram tags, it makes my heart so happy! 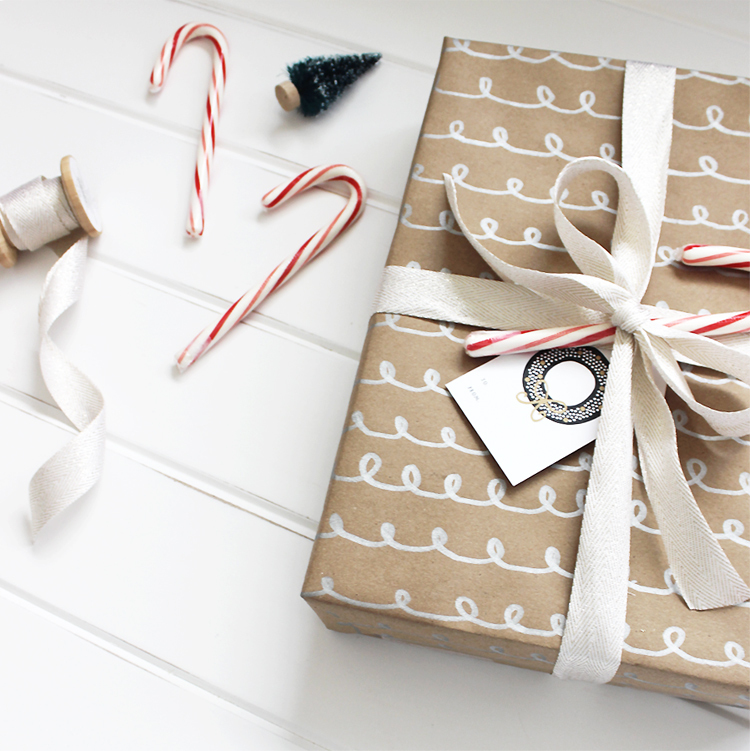 If you do Instagram them, make sure to tag me (@unionshore), so I can see your pretty wrapping!! 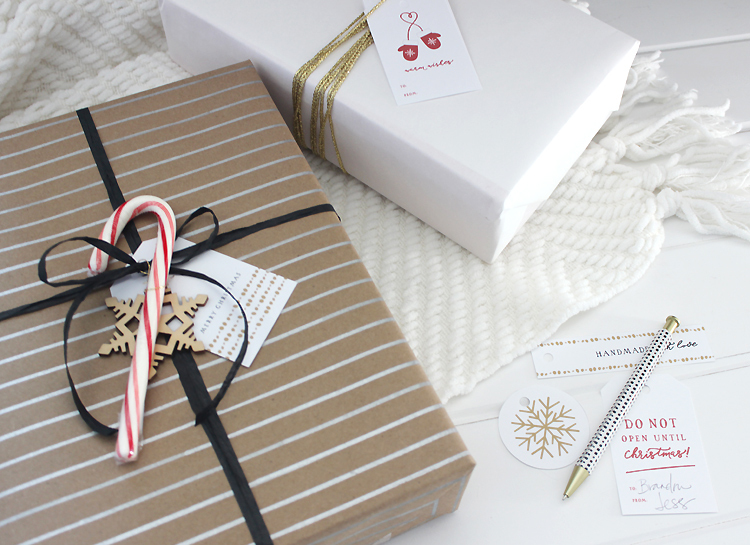 Those gift tags are so cute! 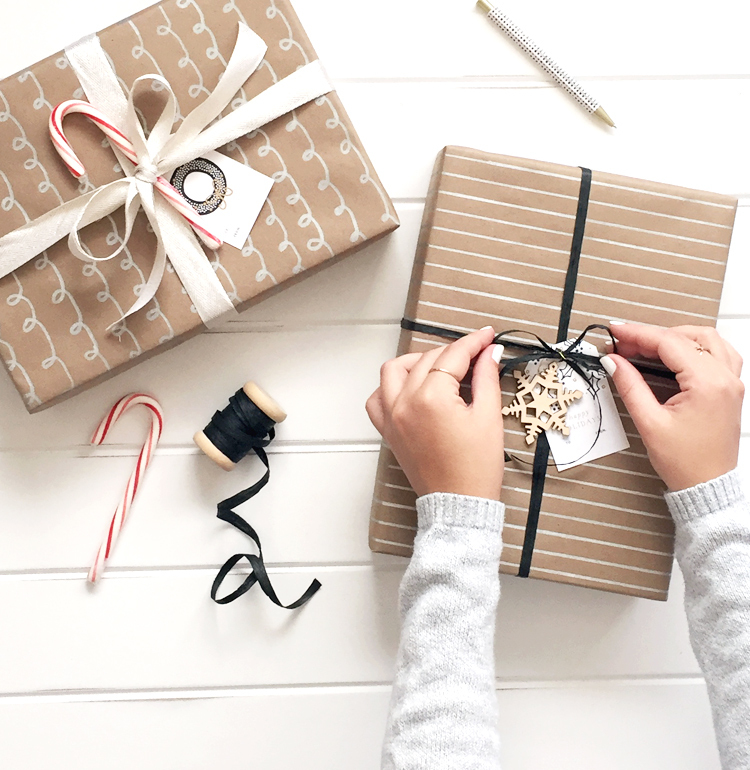 I also love your wrapping ideas! I always try and do something different with my wrapping every year but i'm starting to run out of ideas now! thanks for the inspiration. That's really super sweet of you to share this every year. I am quite fond of the vintage one myself. Downloaded:) And love the wrapping paper idea as well. I am always running out of gift tags, no matter how much I prepare, so thanks for this! Mwah! 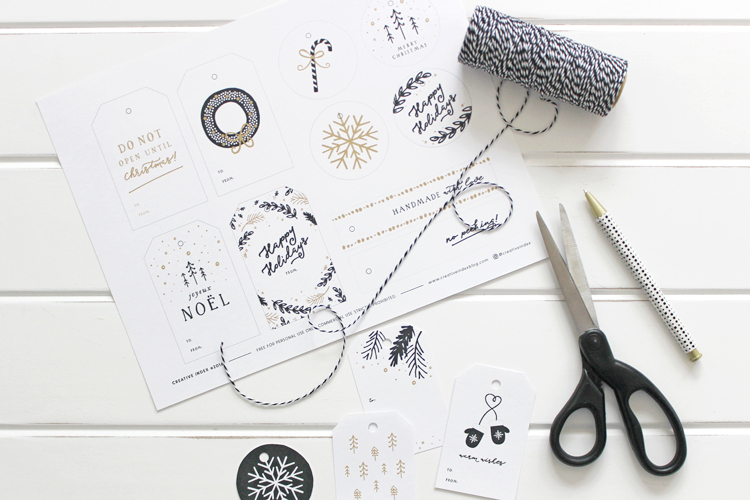 Thanks so much for the freebies...........I think I am going to use my foiling machine on the black ones and see if it works! Oh what fun! Love the tags. Thanks so much! What a lovely and creative idea - thanks so much! 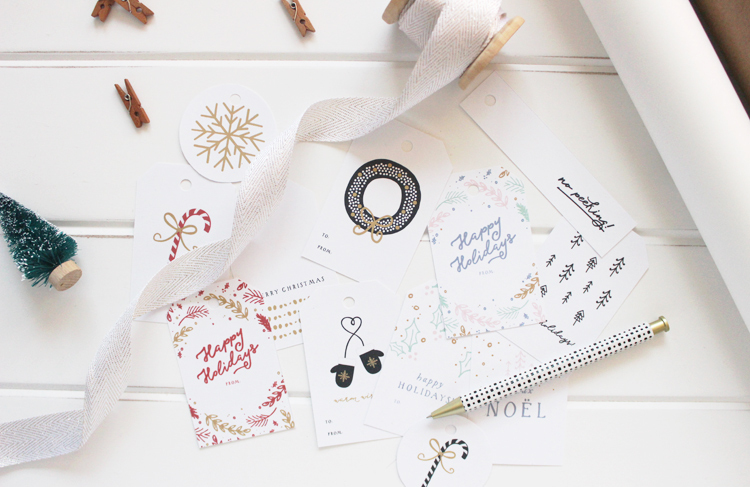 I can never seem to find the right tags to match whatever wrapping paper I'm using and so I can see how these would come in handy :) Hope you're having a lovely weekend! 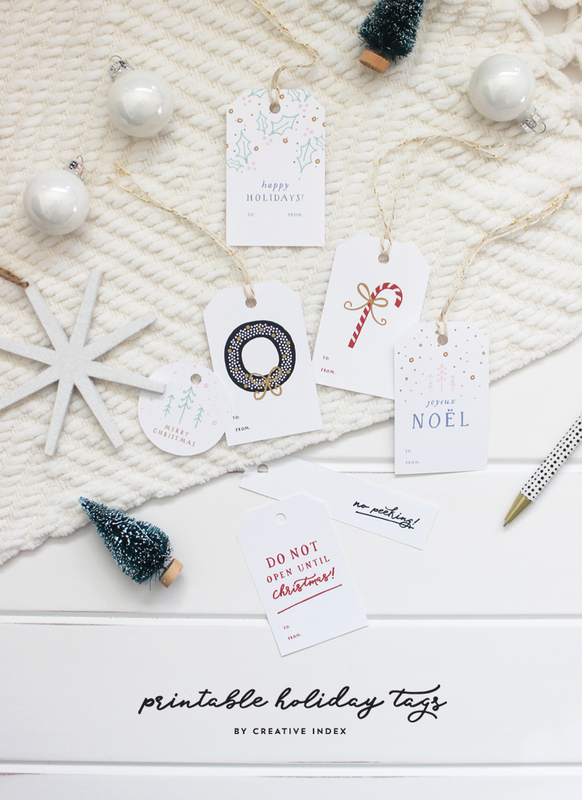 These tags are so fun and festive! Thanks so much for sharing them with us Jessica! Love this! Black and Gold is my favorite! Thank you! These are all so adorable, thank you for sharing!